Royal Caribbean was honored with a silver Effie award at the 2017 North American Effie Awards in the Media Innovation – Existing Channel category for the #ComeSeekLive program. The awards ceremony was held in New York CIty, and Royal Caribbean was recognized for its work offering a first-of-its-kind live, interactive experience that was showcased on billboards on the streets of New York City, thanks to the livestreaming capabilities of the social media app Periscope. Designed and executed by Royal Caribbean’s creative agency, Mullen Lowe, and media buying agency, Mediahub, #ComeSeekLive combined traditional outdoor advertising with the then-new social platform, Periscope. Royal Caribbean's campaign enabled consumers to interact in real-time with influencers on board the cruise line’s high-tech ship, Anthem of the Seas, sailing to five idyllic Caribbean destinations. Through the #ComeSeekLive experience, audiences were given the ability to discover and participate in adventures they never expected from the brand. The North American Effie Awards honor the most effective marketing efforts of the year in the United States and Canada. 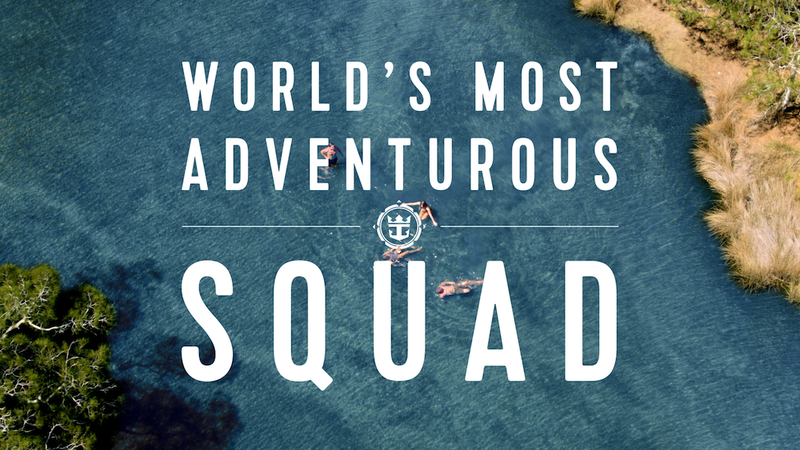 Royal Caribbean announced the teams of adventure squads that are finalists in the cruise line's "The World’s Most Adventurous Squad" contest. In late March, squads began competing in the contest’s opening round of five challenges chronicled on social media. With themes like “Thrills and Chills” and “Epic Eats,” these challenges ran through April. Royal Caribbean then selected one winning squad for each challenge. Five finalists were picked among a field of more than 3,000 competing teams who entered the contest. Each team is made up of up to four thrill-seekers, and will compete to be crowned the winner in just two weeks. Cousins of the Caribbean, Winners of the Thrills and Chills Challenge — These competitive cousins are former collegiate athletes, game-changers, and open-minded wanderlusters. Hawaii Koa, Winners of the Hidden Gems Challenge — Instagram ‘Pros and Bros’ are self-proclaimed ‘surf & snow animals’ that believe life begins at the end of your comfort zone. Seas the Day, Winners of the Culture Capture Challenge — Calling themselves ‘a couple of couples,’ this crew enthusiastically seeks out the adrenaline rush of serious adventure travel. Skallywags, Winners of the Air Land and Sea Challenge — Having brains, muscle, and moxie, these outdoorsy outliers know how to beat attitude with gratitude and plenty of altitude. From May 27–June 3, the remaining tier of the Adventure Squad contest begins. The Final Five will embark on Royal Caribbean's Harmony of the Seas for a seven-day sailing. Beginning in Labadee, Haiti, squad mettle will be tested as teams careen down Dragon’s Breath Flight Line, the world’s longest overwater zip line. A sail to Haiti’s remote Amiga Island, surrounded by white-sand beaches and crystal blue waters, culminates in a kayaking and wave-jet surfing adventure to round out the day. Next, competitors sail to Falmouth, Jamaica, where they’ll raft their way down three miles of the Martha Brae River on handmade vessels of bamboo. Later, crews get to sample some of the best jerk chicken and pork in Jamaica that’s cooked over the pimento tree wood pits of Scotchie’s Restaurant in Montego Bay. Exploring the exhilarating waterfalls and secret cave of Jamaica’s Blue Hole as well as off-roading on ATVs through the island’s jungle terrain is also on the adrenaline-pumping itinerary. But no worries, squad members get to shake off hard-earned road dust with a refreshing cliff-dive into azure waters. The final port-of-call will take the eager travelers to the island of Cozumel, Mexico, where they’ll hop a plane to explore the intriguing archaeological Mayan ruins of Chichen Itza. Once there, underground limestone caverns of some of the country’s many cenotes await their inspection. The group will then be treated to restorative handmade tortillas at a private Cozumel taqueria. At the end of sailing, all five teams will gather in Harmony’s outdoor AquaTheater to hear which group is crowned “The World’s Most Adventurous Squad.” Each winning squad member will be awarded with three Royal Caribbean cruises. 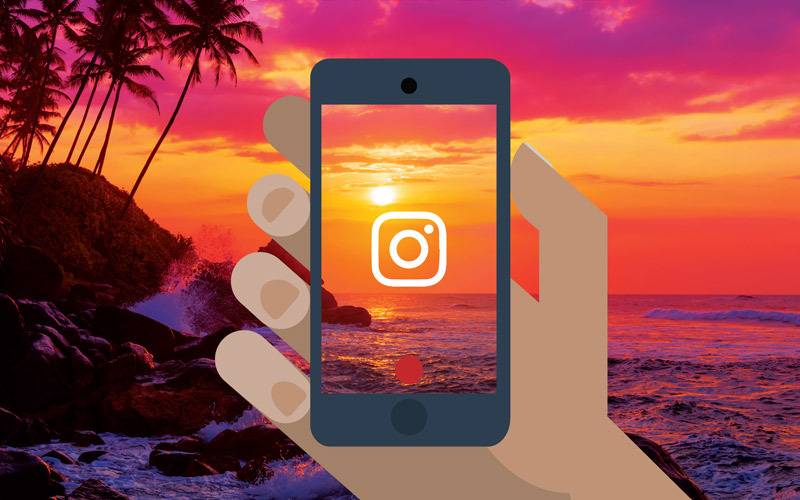 Royal Caribbean UK is kicking off a search for an Instagram user to be the cruise line's "summer intern" and share the cruise experience via Instagram. The 3 week Instagram Intern-ship will take place over the summer of 2017 and involve, "capturing incredible content and uncovering amazing stories." The successful candidate will be responsible for finding and documenting the extraordinary on a daily basis via Instagram. Royal Caribbean describes this "intern-ship" as a hybrid between being a photographer, documentary maker and a storyteller. A typical day will see the successful candidate immerse themselves in the extraordinary moments, experiences and stories that take place on land and at sea, and share them with the world via Instagram. Available to travel for three consecutive weeks between June –July 2017 to regions including New York, the Caribbean, Asia and the Mediterranean. If you want to apply, you must be 21 years old and a resident of the UK and Republic of Ireland with a full passport, no criminal record and no travel restrictions. If you meet these requirements, just post your most extraordinary travel photo or short video on Instagram, tagging @RoyalCaribbeanUK and #ExtraordinaryExplorer. Participants may enter this free of charge competition from 09:00 GMT on 03 January 2017 until 23:59 GMT on 31 January 2017. Social media has never been more popular and a recent study looked at how cruise lines used social media, particularly on Facebook, in 2015 to see how each company fared. 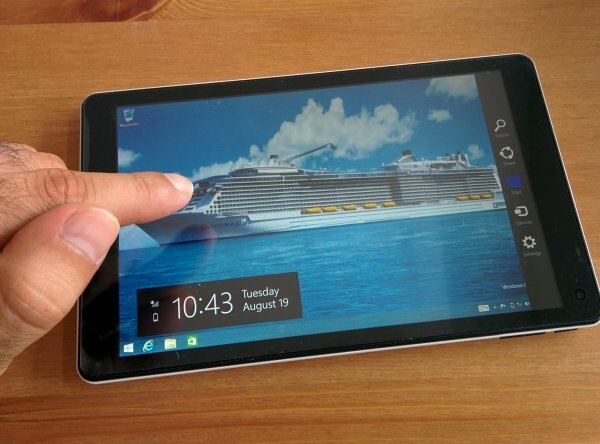 The survey pulled data on many Facebook page interactions each cruise line gained on Facebook, including all the likes, comments and shares from users on the cruise line's posts from January 1 through December 1, 2015. On the surface, it looks as though Royal Caribbean came in last among that group, but the study did notice that Royal Caribbean's performance was actually the opposite of that. "It’s important to note a couple facts, though, that say the opposite: first, the Royal Caribbean International Facebook Page that ranked in the top 5 is a Global Page; Royal Caribbean also has local Pages, including for countries like Brazil and Mexico. For these two local Pages in particular for example, they gained an additional 674,000 interactions. It’s well known that local Pages tend to receive higher engagement per fan than Global ones because local Pages are able to cater their content better. Thus, local Pages tend to be a great move by larger international companies who have many different markets. In this sense, Royal Caribbean is doing a great job on Facebook catering to different audiences." 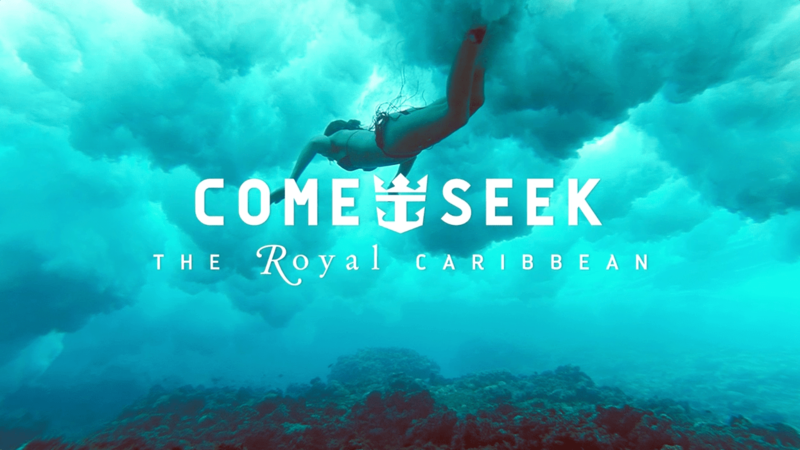 Royal Caribbean begins a big social media push today with the launch of "Come Seek Live" marketing campaign on Periscope. Royal Caribbean is using the social media app Periscope to integrate on billboards on the streets of New York City, as part of the company's "Come Seek" campaign. Periscope and the billboards will showcase live interactions with adventurers aboard Anthem of the Seas, as she sails to five distinct Caribbean destinations. The "Come Seek Live" experiences begin today and will encompass 13 live broadcasts from five islands over seven days. COME SEEK LIVE will be streamed to subway displays and newsstand screens at hyper-targeted locations around the city including Grand Central, Penn Station, Union Square, West 14th and 7th Ave., 86th and Lexington Ave., Brooklyn Bridge-City Hall, and Fulton Center. Streaming events will begin at the Las Playas natural water slide in Puerto Rico and adventure-hop from playing with green monkeys at the Wildlife Reserve in Barbados to riding ATVs in St. Maarten or enjoying a post-expedition refreshment made by a robot at Anthem’s Bionic Bar. Periscope followers will be able to direct the adventurers next steps with the unfolding story showing followers what they could be doing right at that moment onboard a Royal Caribbean adventure. Royal Caribbean senior vice president and chief marketing officer, Jim Berra, is excited for Come Seek Live to begin, "COME SEEK LIVE is an exciting way for Royal Caribbean to challenge the misperceptions travelers have about the cruise industry. We are continually evolving the experience across our fleet, designing adventures that inspire and excite our travelers. It is natural that we would bring this innovation to the transformation of our marketing as well, especially as we recognize that millennials require us to communicate with them using new channels." 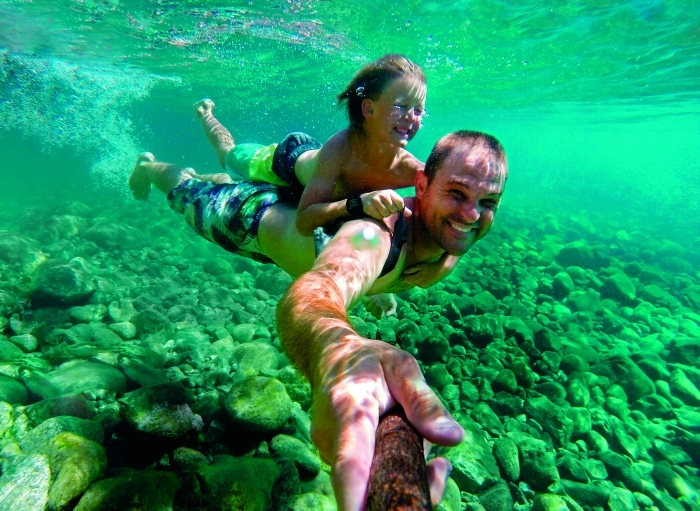 To join in the COME SEEK LIVE expedition, follow Royal Caribbean on Periscope at www.Periscope.TV/RoyalCaribbean. Have you heard about the brand new video streaming app called Periscope? Last night we were chatting together about taking a Royal Caribbean cruise and I posed a question to my friends that joined me, "Share with everyone your best Royal Caribbean cruise tip." Wow, there were some some really great ideas and I wanted to share the best of them right here on the blog. Lisabeme2: Book onboard for the NextCruise booking bonus. AVFD102: Get to the port early and use a porter. RKSister: Don't overpack. Wear clothing more than once, such as pants or shorts. Bill1125: Book a suite to get Concierge access because at disembarkation, you get to use secret elevators and encounter no lines leaving the ship. Jamesw32: Don't wait to go home to give feedback. Get any concerns resolved onboard. Daboyz1223: Wear a swimsuit onto the ship in embarkation day because your luggage may not get to your stateroom for a while. Lisabeme2: Do the VIP All Access Tour at least once. CraigOchs: Pack a highlighter to use for the Cruise Compass. Kevinkline5: Walk as part of the "Walk for Wishes" charity event onboard. Bill1125: Bring ice cream to the pool bar and amazing drinks can happen. RKSister: Book My Time Dining a few days in advance before your cruise. Jamesw32: Progressive trivia is a great way to meet new friends, especially if you are cruising solo. Kris1208: Just enjoy and relax. What are your best Royal Caribbean tips? Share them in the comments! We love social media because it makes communicating with folks so much simpler and Royal Caribbean has embraced it too. Royal Caribbean has a presence on many social media platforms, including Facebook, Tumblr and Google + (their MySpace account is oddly missing), but we feel their Twitter account is the most entertaining. Royal Caribbean uses Twitter mostly to share news, help guests with getting more information and otherwise sharing amazing images and video. But occasionally, they will slip in some entertaining tweets that we love because it shows they have a sense of humor and try to make us laugh. Without further adieu, here are our favorite @RoyalCaribbean tweets that we could dig up. Enjoy! @OMFGitsjillie OMG We're so excited to see you, Jillie. @MrPaulSegal Turtle works. A very cool turtle. @wagesofwins @getDeestweets Can it be in the name of fun AND science? @InternetKidsO2L We miss you too. @tvandermoere We could never bore you. @ExpertCruiser The early bird gets the (Turkish) worm. How is Istanbul? @impossible_gurl You can think of it as an extended slumber party. @xkatie26x Well, thats rude. See you again soon? We also discovered that Royal Caribbean likes to quote popular songs. @theRCLblog @IGGYAZALEA First things first, we're the realest. @KristenDaukas The best is yet to come. Royal Caribbean's social media presence will be managed by Holler following a review of its social media strategy, according to Campaign. By going with Holler, Royal Caribbean will use one company only instead of its previous strategy of splitting the work among different agencies. Royal Caribbean’s $90 million global advertising account is handled by a WPP group comprising JWT and Mindshare, based in New York.